We will have our grand opening for the next Amherst Biennial on Saturday October 6th, 5 -8, Art in Expected and Unexpected Places. Many exciting new developments for our next Biennial including Virtual Art, Yarn Bombing, Bells Ringing, Emily's Rhapsody and some of the most talented artists around. We will be presenting close to 50 artists, many returning from our first Biennial and some new faces who have settled in the Valley. 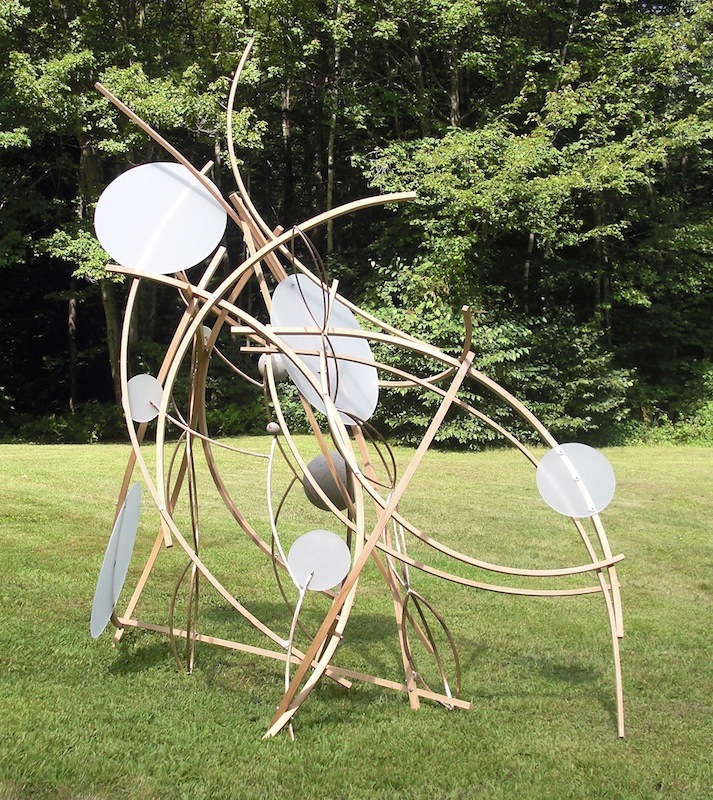 We have selected William Brayton's sculpture Encounter 2 for our sculpture garden which is presently on view at Chesterwood. We are still finalizing our roster, but will have our final selections by the end of June.